ORLANDO, Fla. — The Lawrence University men’s tennis team rolled to an 8-1 nonconference victory over Elmhurst College on Wednesday. The Vikings started the day by sweeping the three doubles matches and went on to take five of the six singles matches. The No. 1 doubles team of David Jumes and Bill Schuman-Kline won 8-3, and the Vikings switched up the Nos. 2 and 3 teams. Connor Maloney and David Brooker won 8-3 at No. 2 and Cade Francour and Aidan Delgado won 8-2. In singles play, Jumes won at No. 1, Schuman-Kline won at No. 2, Maloney was a winner at No. 3, Francour won at No. 4 and Delgado was a winner at No. 5. ORLANDO, Fla. — The Calvin College men’s tennis team topped Lawrence University 7-2 on Tuesday during the Vikings’ spring break trip. Bill Schuman-Kline picked up the lone singles win for the Vikings as he beat David Brown 6-2, 2-6, 1-0, winning 10-8 in the supertiebreaker. Schuman-Kline teamed with David Jumes for an 8-4 victory at No. 1 doubles. ORLANDO, Fla. — The Hamline University men’s tennis team swept the Nos. 2-6 singles matches to record a 7-2 nonconference win over Lawrence University on Sunday. The Pipers had no answer for Lawrence’s David Jumes, who won both of his matches. Jumes posted a 6-0, 6-3 victory at No. 1 singles and teamed with Bill Schuman-Kline for a 9-8 victory at No. 1 doubles. 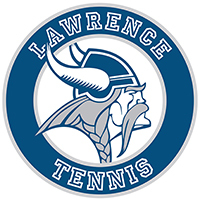 ORLANDO, Fla. — The Lawrence University men’s tennis team won five of six singles matches Friday to take a 6-3 nonconference victory over Trine University. It was the first match of the Vikings’ spring break trip. Lawrence (4-4) trailed 2-1 after the doubles competition after picking up an 8-6 victory from the No. 3 team of Connor Maloney and Cade Francour. Lawrence won the top three singles matches and then took wins at Nos. 5 and 6. David Jumes at No. 1 and Aidan Delgado at No. 5 both won in straight sets. Bill Schuman-Kline at No. 2, Maloney at No. 3 and Izaya Turenne at No. 6 all split the first two sets, but all three Lawrence players won the supertiebreaker to capture the match. The Thunder falls to 4-5 on the season. DUBUQUE, Iowa — The Lawrence University men’s tennis team got strong performances up and down the lineup in a 7-2 nonconference win at the University of Dubuque on Saturday. Lawrence (3-4) raced out to a 3-0 lead after the doubles on its way to handing Dubuque (5-1) its first loss of the season. The Vikings won all three doubles matches by identical 8-1 scores and then swept the Nos. 3-6 singles matches. Connor Maloney (No. 3), Cade Francour (No. 4), Izaya Turenne (No. 5) and Kieran Laursen (No. 6) were all singles winners for Lawrence. DUBUQUE, Iowa — David Jumes was the lone winner for the Lawrence University men’s tennis team in an 8-1 nonconference defeat to UW-Eau Claire on Saturday. Jumes posted a 7-6, 6-2 victory over Michael Mauthe at No. 1 singles. Jumes and No. 1 doubles partner Bill Schuman-Kline also absorbed a tough 8-6 defeat in doubles. APPLETON, Wis. — The Saint Mary’s (Minn.) University men’s tennis team won five of six singles matches Monday night to pull out a 6-3 nonconference victory over Lawrence University at Fox Cities Racquet Club. The Vikings took a 2-1 lead after the doubles play as David Jumes and Bill Schuman-Kline won at No. 1 and Connor Maloney and Cade Francour won at No. 3. Jumes was a straight-sets winner at No. 1, but the Vikings lost three super-tiebreakers in the five remaining singles matches. APPLETON, Wis. — The Lawrence University men’s tennis team dropped just one game en route to a 9-0 nonconference rout of Lakeland University on Saturday night at Fox Cities Racquet Club. Lawrence (2-2) won all six singles matches by identical 6-0, 6-0 scores. The Vikings dropped just one game in doubles and picked up a pair of 8-0 victories. Andrea Arrivela picked up his first collegiate victory as he teamed with David Brooker for an 8-0 win at No. 3 doubles. Kieran Laursen got his first win of the season as he stopped Bill Behrmann 6-0, 6-0 at No. 6 singles. 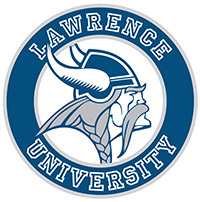 APPLETON, Wis. — The Lawrence University track and field teams and fencing squads compete in their conference championships this weekend. The Lawrence thinclads head to Jacksonville, Ill., for the Midwest Conference Championships on Friday and Saturday looking to bring home some individual titles. The Lawrence fencers are off to Columbus, Ohio, for the Midwest Fencing Conference Championships at Ohio State. When and Where: Friday and Saturday, Feb. 24-25, King Field House, Jacksonville, Ill. Competition begins Friday at 1 p.m. and Saturday at 10 a.m.
Fast Fact: The Vikings have several title contenders, led by distance standouts Josh Janusiak and Joe Kortenhof. Look for a pair of rookies, Will Nichols and Noah Shea, to have a big impact as well. Nichols, fresh off breaking the school record in the 200 meters, will compete in multiple events, and Shea is one of the league’s top triple jumpers. When and Where: Saturday, Feb. 25, 7 p.m., Fox Cities Racquet Club. Fast Fact: The Vikings look to snap a two-match losing skid after falling to UW-La Crosse and Concordia Wisconsin. Bill Schuman-Kline remains unbeaten in singles on young season as he improved to 3-0 at No. 2. When and Where: Saturday and Sunday, Feb. 25-26, all day, French Field House, Ohio State University, Columbus, Ohio. Fast Fact: The Vikings are looking to improve on their combined fourth-place finish at the 2016 MFC Championships. The men grabbed second place last season, and the women were fifth. The top returning individual finishers for the Vikings are Nathan Schlesinger, who was sixth in foil, and Natalie Hagopian, who took 12th in foil.